The Whos of Whoville are kind of like the scareactors of Grinchmas. 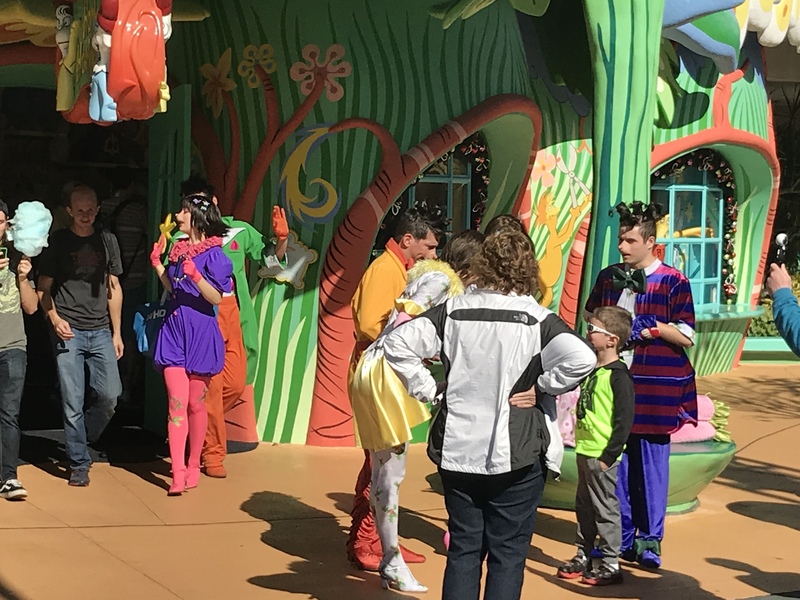 They're seasonal characters that have cool makeup, wear cool clothes, and wander the streets of Seuss Landing (in between shows) interacting with guests and getting into mischief. The first video is from 2009. You can really see the evolution of their wardrobe compared to today's Who. The second video was from just a couple weeks ago when I saw a bunch of them in the new cotton candy store, Honk Honkers. Have you had a chance to meet the Whos of Whoville? Which one is your favorite? You can catch them in Seuss Landing until January 6th, 2018!